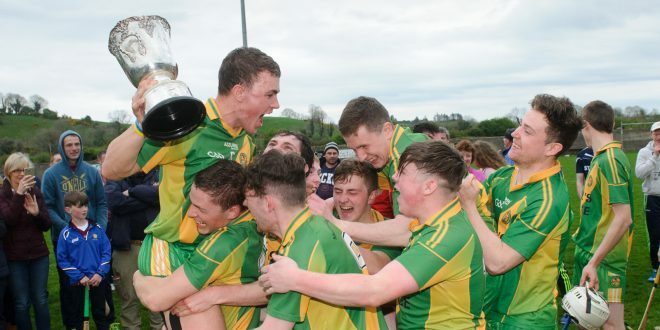 O Callaghan's Mills captain Ciaran Cooney and fellow team members celebrate with the cup following their U-21B county final win over Clarecastle at Tulla. Photograph by John Kelly. 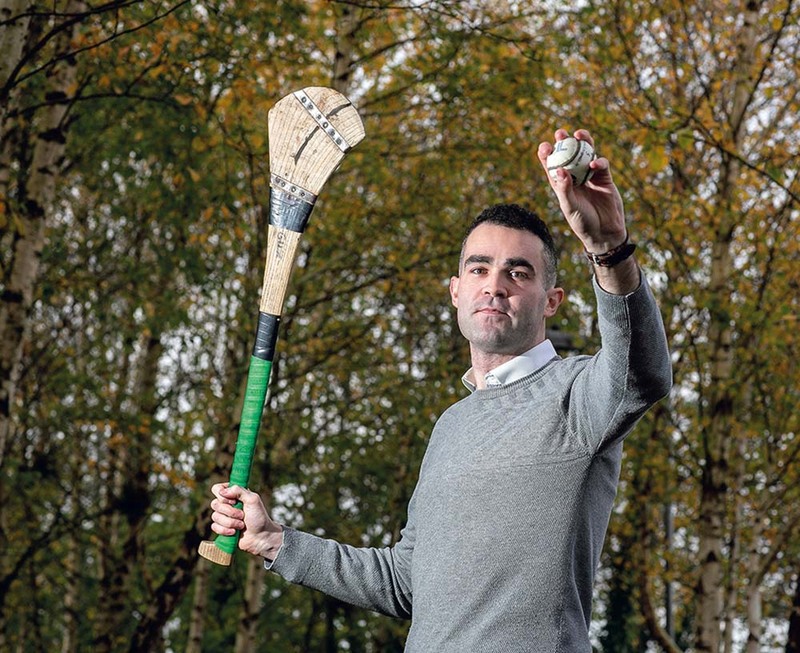 O’Callaghans Mills bridged a twenty three year gap to their last title win in the under 21 B hurling championship when they scored a comprehensive win over hot favourites Clarecastle at Dr. Daly Park in Tulla this Sunday evening. In a game in which they were never behind, the Mills led by double scores, 0-8 to 0-4, at the interval. The sides traded points four times before the end of the third quarter before the winners got as massive boost when Gary Cooney struck for the game’s first goal, a score that put eight points between the sides, 1-13 to 0-8. Three minutes later, with just ten minutes to play, Clarecastle’s hopes of rallying were dealt a further blow when they were reduced to fourteen men as Owen O’Hara was shown a straight red card. The magpies battled to the end but the Mills had added a further 1-3 to their tally before Clarecastle goaled in injury time. Points were exchanged twice in the opening five minutes before the winners, beaten finalists last year, opened a two point gap with scores from Jacob Loughnane and Jamie Keane by the end of the opening quarter,. With KillianMcDermott operating as a third midfielder, Clarecastle won a lot of possession around midfield in the opening period but they were unable to break down a well marshalled O’C. Mills defence. The winners finished the half strongly with points from Conor henry, Jamie Keane and Sean Murphy to lead by four at the half way point. Clarecastle returned with ColinGuilfoyle in their line up and they also had made a number of positiona switches but they still experienced difficulty in getting past the winner’s defence. Anytime the scored in the third quarter, the winners responded with a like score almost immediately and maintained their four point advantage to the three quarter stage before Gary Cooney finished off a fine move with a goal. Three minutes from time Jamie Keane, the game’s top scorer, struck for their second goal to seal a merited win, their first since 1994. ***After the game Clare GAA chairman Joe Cooney presented the cup to his nephew Ciaran who captained a team managed by the county chairman’s son, Conor. Subs; Alan O’Dea for Donnellan; Stephen Donnellan for Murphy; Rory McNamara for Kelly; James Beatty for Keane; Cathal Nolan for McGrath. Subs; Colin Guilfoyle for Crimmins; Ruairi Crimmins for Brack; Jack Hayes for Hartigan, Paul Dolan for McAuliffe.